Home Strategy How Can You Use Twitter for Business? Let’s reverse the question: How can you not use Twitter for business, knowing the following facts? 313 million active monthly users. More than 500 million tweets per day. 66% of twitter users have discovered new small and medium-sized businesses through Twitter. 94% of users plan to buy products or services from the SMEs that they have found through this network. 69% of users bought a product or service from a company at some point due to something that they saw published through this platform. 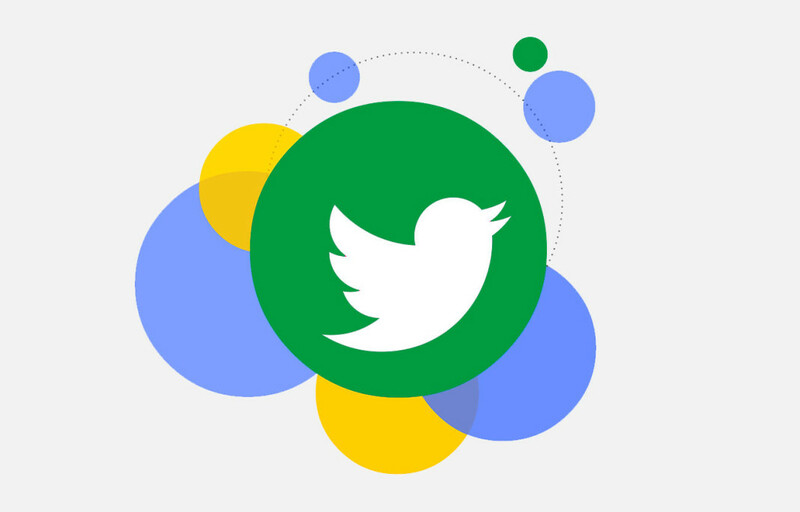 1,000 million unique monthly visits to sites that have been shared through tweets. 82% of twitter users are active on mobile devices. 79% of accounts operate outside of the United States. These are statistics facilitated by the same social media site that provide evidence of the importance that this outlet holds as an information outlet and means of communication. 300 million internet users connect on a daily basis to know what is going on in the world, and they share news with each other. Both individuals and businesses are able to connect with each other in a direct manner, creating a one-on-one interaction with the public. This enables brands to get the most out of this social media outlet. Twitter, as well as its generational companions-Facebook, Instagram, and YouTube-have been able to make large advances, which within corporational marketing is referred to as the democratization of communication and the formulas that are used within ads, so as to connect with the audience. John Wihbey wrote an interesting paper for Harvard Kennedy School, titled ‘The challenges of democratizing news and information’, which discusses this phenomenon. Wihbey’s reflections, based on studies and investigations carried out in this field, point towards how these media outlets can escape the traditional controlled structures and are able to cause a piece of news to become known when it would have been extremely difficult to bring it to light in any other way. They are a tool that assists notoriety that was previously unreachable for any SME or professional, and it’s because of this that there is talk of ‘democratization’. Companies that want to make the most of Twitter need to know well the rules of the game to get relevant and profitable connections with their potential followers, either directly or indirectly. Here we’ve prepared a small guide so as to learn how to use Twitter for business. We’ve structured it in five essential questions with corresponding answers. Why use Twitter for business? It can be used a means of communication, in order to inform followers of business novelties, offering information that can be useful (more than corporative content, articles, and summaries that can supposedly provide an added value). It’s an efficient as well as interesting, alternative way to draw a client’s attention. It can be used to listen to concerns, questions, pleas, complaints, suggestions, and also provides the ability to give quick, efficient responses. It’s a space that can be used to select personnel, to find valid professionals, and can be used to locate adequate profiles that could be in demand at a specific point in time. Ryan Holmes, CEO of Hootsuite, shows that there are five tendencies that mark the uses that social media have for companies, with one of them regarding the ability to contract personnel. 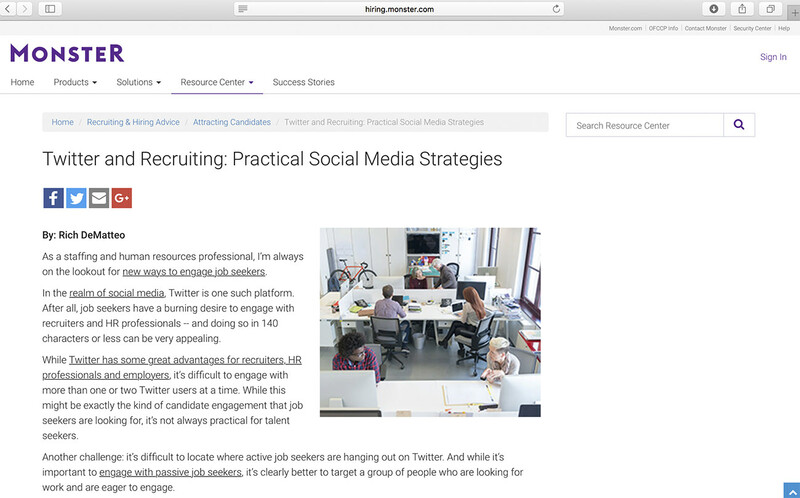 Holmes points out “Employee social advocacy programs, which encourage staff to share updates about the business on their own social media accounts, have grown by 191 percent since 2013 and are due to take off in the year ahead”. There are many examples of the effective results from utilizing these applications. 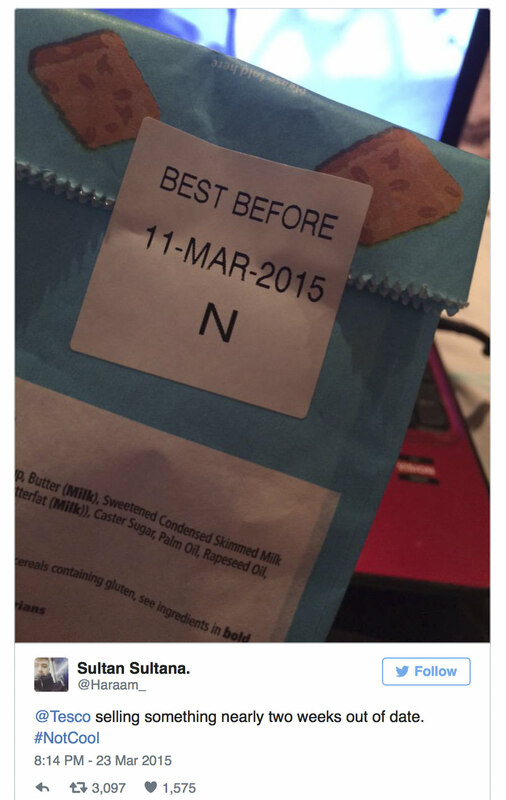 For example, Tesco has been able to use Twitter to push its customer service possibilities to the maximum. In Monster’s case, they were able to distinguish themselves through their blog and show that they, as well as other companies, are able to post public job offers within this outlet with positive results. How do you start using Twitter for your SME? Creating an account is simple: you simply need to access Twitter’s home page, and have an email in place. We then fill out the information, put in a password, and go to continue. They ask us for a mobile phone number to confirm, and we will receive a message that we need to provide Twitter when they request it. All done! We are ALMOST ready to start…We highlight ‘almost’ because it’s important, on one side, to know that we have efficiently completed our profile, and on the other side, it’s important to know the rules of the game, as we pointed out earlier. Let’s start with this first point: How can I make my business more attractive within this network? Let’s not ever forget that this account can almost be used as our personal identification card: it tells the story of who we are and transmits that first positive image, which means that all of the elements that we use are important. Username: @xxxxxxxxxxx. 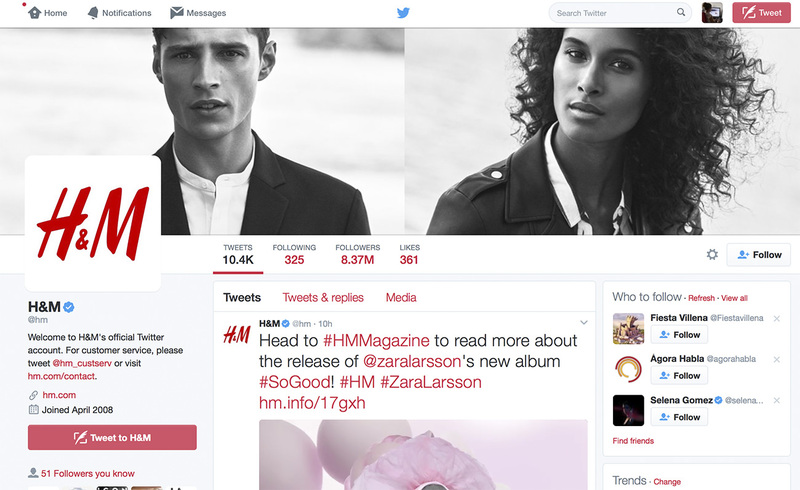 To be able to show the process in the easiest way possible, we have used the retail company H&M as an example, whose username is @hm. This can contain up to 15 characters, and should provide a way for people to quickly find your profile. The name appears just above and this can be the same or different from the username. In this case, they are almost identical. Biography: A small description containing up to 160 characters that tells a story to the world about who we are and why they should follow us, the benefits that they will find. It can include useful information-where we are located, our hours-and a link to our website. Profile Picture: Image that represents your SME. Ideally opt for the logo, in order to maximize the visibility of the brand. Every time that we publish a post, our photo will appear next to it in a very small size, as an icon. Cover photo. It’s the photo of greater size that is found in the upper part of the page, a space that we must know how to take advantage of it, just as though it were an advertising poster for the business. We can take advantage of it by changing it from time to time, to give further value to our promotions, special campaigns, novelties, etc. What can be considered indispensable knowledge to throw yourself into the arena? Let’s move on to the second point: How social media works. What do I need to know to optimize my presence within these outlets. 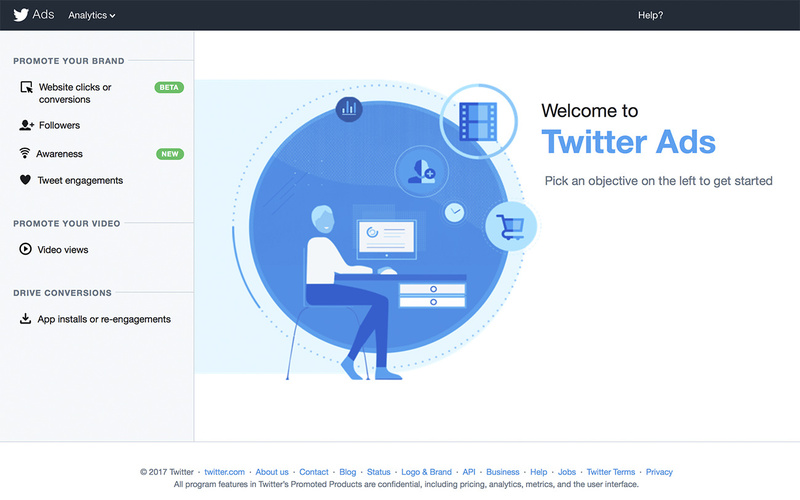 TIMELINE: The homepage of Twitter, where tweets from those you are following appear in chronological order-from newer to oldest. It could be said that this is the cover of a newspaper or a magazine, but within this case, it’s in order of appearance which is strictly determined by the hour, minute, and second of the publication of the post. TWEETS: These refer to messages that are published within this social media network. These can contain text, photos, videos, and links. Within the image you’ll see an example of our username @KolauMarketing. In this case, the content within the Tweet would include the title, the content, as well as the link and the visible image. REPLY: The first icon that you can see just under the photo, an arrow pointing to the left, can be used to write a response to the content that someone has posted within the site. Twitter users utilize this-among them our current and potential clients-as well as businesses that want to make a comment, whether through a direct reference or because they would like to say something interesting regarding the message. With this option, we are able to actively listen and take advantage of the useful and interesting responses that will surely be received, and use them to reinforce the brand’s image. RETWEET: This refers to the process of ‘sharing’ on Facebook. It’s a way to cause a post that another person or business has posted within your timeline to go viral. It’s possible to publish it exactly as the original source posted it, or you have the option to place it within quotation marks if you would like to add a personal comment. Simply click the icon that can be found in the middle, on the right side of the arrow used for replies. It’s similar to a rectangle made up of two arrows. LIKES: The heart means that you have read or seen content that you liked. It’s a great way to establish contact with a profile that can be an attractive means to an end, as you’ll be drawing further attention to yourself. LABELS: The renowned hashtags are used to organize conversations by theme. If we want to be found through the creation of a connection between a specific activity, or another event and a label, this is the way to do it. Whoever is scrolling through Twitter regarding a concrete topic will see us as long as we have labeled ourselves regarding that topic, and we will become more visible. These hashtags are made through the use of the ‘#’ sign and a word or phrase. It’s very simple: if we are a travel agency and we want to be found through the use of wording regarding getaways, we could use labels such as #summervacations, #tripswithkids, #cheaptrips, #goingonvacation, #travel, etc. A tip? If we want to know what everyone is talking about within the social network at any given time, we can go to the timeline and within the left-hand side of the page, we’ll see a column titled ‘TRENDS’. As its name suggests, it gathers information regarding trending topics and can provide us with the information we need to make our tweets more visible through the use of trending keywords. 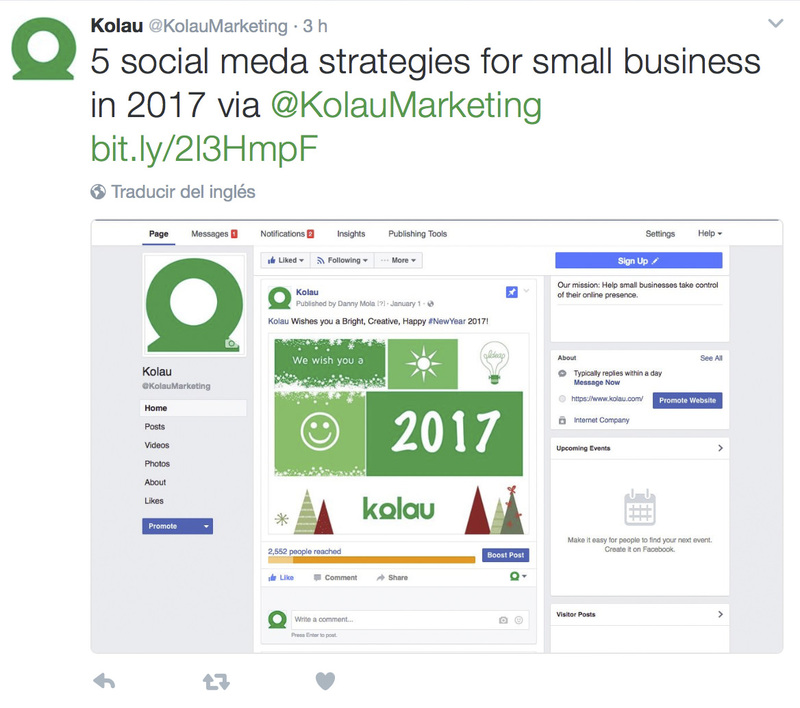 MENTION: For this, the at sign is used with the username -@kolaumarketing- when we want to direct ourselves towards that specific user. This is also what internet users will do when they want to communicate with our SME. It’s an interesting option in order to answer questions that come up, to give thanks for received praise, or to apologize for a wrongdoing. PRIVATE MESSAGES: It’s another communication option that Twitter users have. It’s an interesting option to move from the public eye into a private situation, and in the majority of the cases, this is one of the ways in which people can discuss topics in more intimate detail. How can you get followers for your business? Having ‘high caliber’ followers is essential to reach marked objectives. When we discuss the aspect of ‘high caliber’, we are referring to users that are truly interested in our products-services. It doesn’t do us any good to have a mass of followers that aren’t really interested or need what we offer. A study realized by Twitter-Small Business Customer Insights Study-shows that 60% of those that go after an SME have bought something due to following it through Twitter, and 73% have improved their image due to the same, after they began following and reading the business’ tweets. Interesting, isn’t it? Now look. Pay attention to these brief-but very efficient-pieces of advices that will begin to create a strong fan community for your business. Promote your Twitter account through all of the outlets that you may be using, add a follow button to your website, include the icon and a following link within the emails that you send. Start to follow those clients and partners that are participating within the site so that they know that you are also part of the ‘party’ and that you have a lot to offer. Use hashtags. We previously commented regarding the ‘trends’ section. If you detect that certain labels are being used a lot, and you have something solid that also deals with that topic, don’t doubt using it, especially if it’s a topic that you are able to handle with ease. This means that for those that read it, you are more than likely providing valuable information. All for one and one for all: Encourage your employees to follow the business and to retweet content. Do the same for other companies that you are collaborating with, as a form of mutual favor. Everything adds up to reaching a larger audience. Launch campaigns that show off new followers and retweets, giving away discounts and coupons or special offers. Encourage your followers to share content and always thank those who participate and collaborate with you. Do we announce ourselves on Twitter? Twitter Ads is a publicity system based on auctions, which means that the budget we have and our bid will determine what our campaign is going to cost. This makes it impossible to decipher what the number will be when discussing the cost of announcing the company within this network. As a recommendation, here at Kolau we first look to comfortably handle this social media site and there will be time in the future to further understand sponsored content. We will discuss these later on. All of the actions that we take within this space are incomplete if we don’t concern ourselves with monitoring the results to see up to what point our efforts report a compensation. Twitter has an Analytics section that offers information related to the steps that we are taking: the number of tweets that have been sent, the amount of retweets, likes, responses to our content, information regarding the audience that follows us, etc. Don’t ever stop reading through this data in order to interpret it and to know if we are going in the right direction or if we need to change our course. If you want to know more about Social Media strategies, you can also take a look at our previous post: 5 Social Media Strategies for Small Business. You’ll like it!